The 2019 MLB season is here, so let’s make some money on over/under bets. The surest bet is that the entire league will finish with a .500 record, but since no sports books seem to offer that wager, let’s delve into the individual team totals to see where to capitalize. Win totals come courtesy of the Westgate SuperBook. No better team to serve as the opener for these picks than the Rays. The Red Sox and Yankees are still the class of the American League East last year, each reaching triple digits in victories. But Tampa Bay was still able to scrounge out 90 wins in 2018, and that was with a pitching staff that was decimated by injuries. But they still have pitching depth in spades, and should be competitive. PECOTA has Tampa Bay at 85 wins this year and Steamer is at 84, which makes this a perfectly placed over/under. 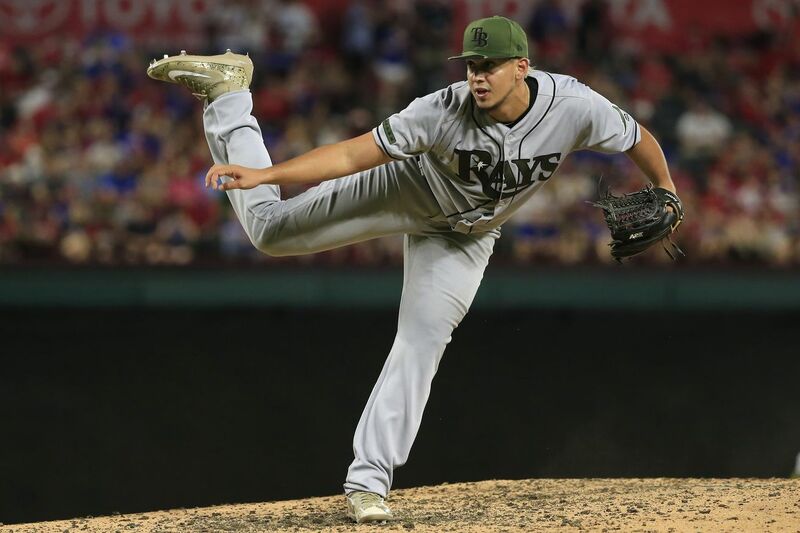 But with the return of Brent Honeywell and Jose De Leon in the next few months I think the Rays will find a way to get at least to that 85-win hump. The Cubs are still in the afterglow of vanquishing their century-long championship drought, and still stocked with loads of talent. They finished their 162-game schedule last year with 95 wins, tied with Milwaukee for the most in the National League, but a tiebreaker loss and a stunning Wild Card Game defeat ended Chicago’s season before the real playoffs even began. Despite their 387 victories in the last four seasons tops in baseball, the Cubs have a tough task in a division with the stacked Brewers and the improving Cardinals. Chicago did little to improve this offseason, with a healthier Yu Darvish return their best chance at a positive jolt in 2019. Still, projection systems are at odds on the Cubs, with Steamer projecting them for 89 wins (third-most in the NL) and PECOTA going a step further with Chicago at 79 wins. That last projection has Chicago last in the NL Central, which understandably didn’t sit well with the Cubs. From this morning: Someone on staff posted the recent PECOTA projections for the Cubs on the team’s daily workout schedule on Monday. While the Cubs probably aren’t that bad, getting them to 89 wins is a chore, so they are an under bet for me. There is no denying that Baltimore is bad, and they are nestled at the bottom of the aforementioned top-heavy AL East. They lost 115 games last year, the highest total in 15 years. But the Orioles can still be very bad and not lose 103 games. So mark me down for Baltimore at 61-101 or something, and the over on 59.5 wins. It is certainly possible that Toronto could top 74 victories this year, with both PECOTA (75) and Steamer (76) projecting them to do just that. But take the under for nothing else but karmic retribution for not having Vladimir Guerrero Jr. on the opening day roster. Yes, a strained patellar tendon in his left knee technically took the decision out of Toronto’s hands, but it was quite clear before baseball’s top prospect got hurt that the Blue Jays planned to start Guerrero in the minors in an effort to manipulate his service time. Calling him up April 12 or after would make it impossible to accrue 172 days of service time, the minimum needed for one full year. That means Guerrero would be a free agent after 2025 instead of 2024. The Blue Jays are hardly alone in this practice. The Cubs did the same with Kris Bryant in 2015, and the Braves with Ronald Acuna just last year. MLB’s rules incentivize this practice, but it doesn’t make it any less distasteful. Sure, Chicago missed out on free agents Manny Machado and Bryce Harper, but take them for the over here for the exact opposite reason as Toronto. Eloy Jimenez, one of the other top five or so prospects in baseball, will be on the White Sox opening day roster. Chicago signed the young outfielder to a six-year, $43 million contract on Friday, plus club options for 2025 and 2026. Both Steamer and PECOTA estimate Chicago will win 70 games this year, but the AL Central is absolutely terrible outside of Cleveland. Any hint of competence is a boost in this putrid division.